The Sebo Airbelt D2 ePower Vacuum Cleaner brings powerful performance, ideal for pet owners and allergy sufferers. Comfortable handle grips for easy manoeuvring, a soft airbelt bumper system to protect your furniture, together with many other details, create a vacuum cleaner that works with you, and your home. For example the circular front, with its patented airbelt bumper, is ideal for moving around obstacles and allows a large capacity 6 litre bag. An extra long 12m cable contributes to an incredible 15.5m cleaning range. The air flow through the machine has been optimised and a high tech cone-shaped hose has been used, which significantly improves suction. 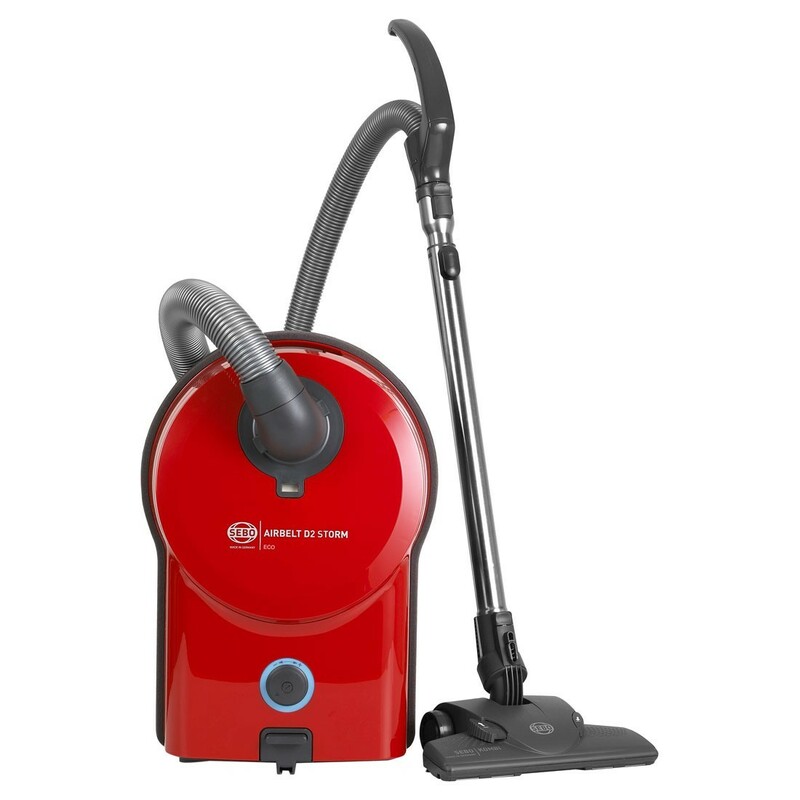 The suction motor uses the latest turbine technology to give superlative cleaning power. Professional cleaning heads and a highly efficient filtration system combine to give outstanding cleaning performance on any type of floor. The Sebo Kombi cleaning head has unique removable inserts so that you can choose between maximum suction under the cleaning head, or edge cleaning.